Beginning every spring, plants of every size, shape, and color throw countless pollen spores into the atmosphere. 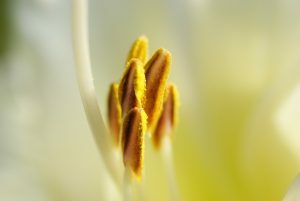 Whether by accident or design, plants release a huge amount of pollen during their lifetime. From spring to fall pollen makes up a surprising amount of the air we breathe. This is a reason that allergies are one of the most common ailments during the growing seasons, affecting millions each year as their immune systems decide they’ve had enough and begin to attack pollen on sight. 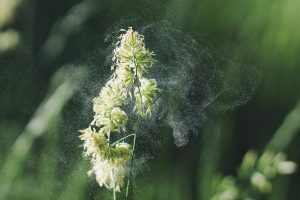 While allergies to plants like birch, oak, grass, and ragweed are commonplace and irritating, it is a small price to pay as without pollen most plants would not exist. Many plants rely on pollen to distribute genetic information between each other in order to create seeds. Since plants themselves cannot move to their neighbors to facilitate this exchange, they travel vicariously through their pollen. Plants have worked for millions of years to develop pollen grains that are able to withstand the extreme environments outside of the parent. Even though these grains are in some cases literally cast into the wind by the millions, each possesses a specialized shape and a durability that far exceeds anything you might find in even the most advanced SpaceX research lab. Pollen, the male fertilizing agent of flowering plants, is usually recognized as a fine colored dust. Depending on the species of plant, this pollen is engineered to do specific tasks in order to reach a female reproductive structure. Many wind pollinated conifers, for example, produce pollen that is light and easily carried by even a slight gust. Wind-pollinated plants release huge amounts into the air in the hopes that some will come into contact with another plant. Most pollen allergies are caused by wind-pollinated plants. Other plants, known as angiosperms, attempt to perform more efficient pollination by tricking animals into doing it for them. These plants usually create large, showy flowers filled with sugary nectar designed to lure in animals that then pick up pollen as they drink nectar. This is made easier by the fact that many angiosperms create large pollen grains with shapes that stick to almost anything they come into contact with. The shapes of these grains are so distinct that most plant species can be told apart by a microscopic look at their pollen. Depending on species, the appearance of pollen widely varies with grains covered in various spikes, hooks, bumps, and wings. Scientists trained in the identification of these tiny capsules are known as palynologists, and their work at understanding the compositions of pollen grains could perhaps help us engineer more efficient modes of storage and protection among other things. Pollen’s genetic information is contained and protected by a double-layered wall that is heavily resistant to most corrosive elements. Imprints of these outer shells are found in fossil remains dating back over 400 million years ago. This tough shell, able to survive long periods of abuse as it travels, is not enough to protect against the hungry jaws of the many animals that rely on pollen for food, however. Beetles, butterflies, bees, wasps, ladybugs, ants, flies, and even spiders are among those dependant on pollen as a protein source. While at first glance plants may appear to be listless participants in the landscape, do not forget that they are very active. While certainly easier said than done, the next time you feel the familiar itch or sniff of seasonal allergies remember that in this case, the ends justify the means. This article was originally published in The Sylva Herald of Sylva, NC.